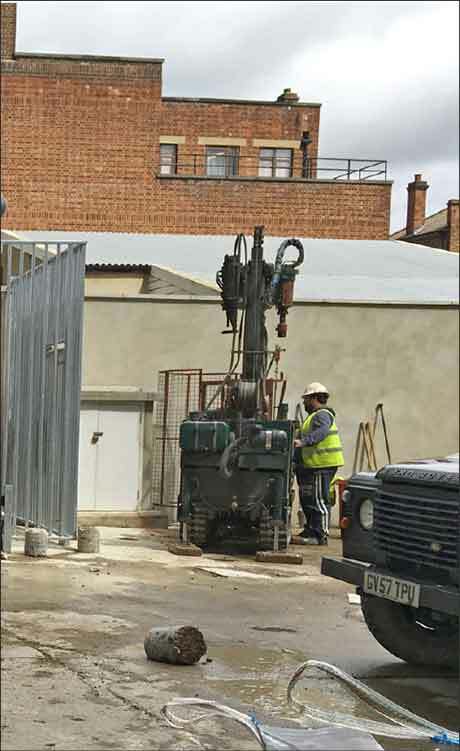 The groundwater under a former storage yard and offices in London, was impacted with significant amounts of Light Non Aqueous Phase Liquid (LNAPL). The contamination had been caused by spillages and leaks from two Above Ground Storage Tanks (ASTs) located in an outbuilding on the site. 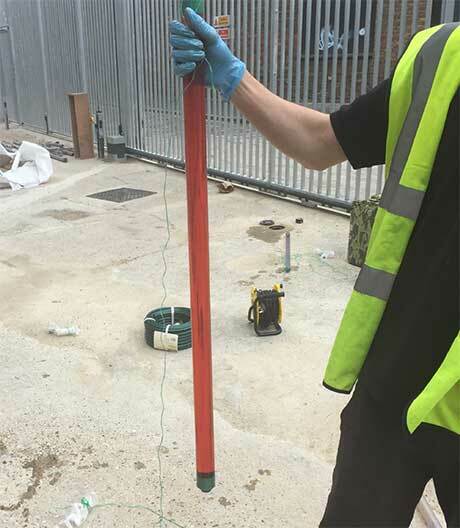 Site investigations carried out as part of the residential redevelopment planning process for the site, revealed free product floating on top of the groundwater with a thickness of up to 1.5 meters. Once the AST’s had been removed, localised remediation was required around the former tank locations. No excavation works could be completed due to the proximity to the site boundary and adjacent buildings and structures. As part of the development, it was a planning condition to reduce LNAPL thickness to <10mm. In addition, there was time pressure to rapidly achieve this target and avoid delay to the construction programme. REGENESIS and PMC Soil Solutions have provided an effective solution using enhanced desorption, via PetroCleanze® injections followed by extraction using a vacuum tanker. PetroCleanze is designed to temporarily increase the desorption rate of hydro- carbons bound to saturated soil and make them available for more efficient and rapid extraction by a physical recovery system. Using vacuum extraction alone on this site would have resulted in a low recovered mass, as a large proportion of the hydrocarbons would have remained adsorbed to the soil. 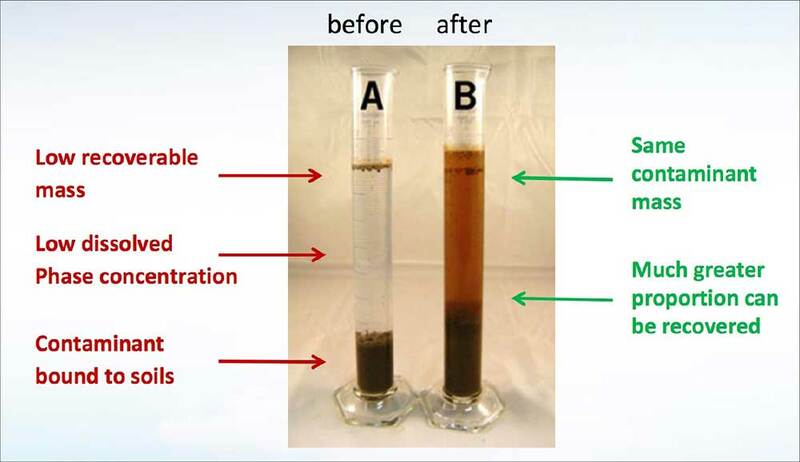 By injecting PetroCleanze first, the contamination desorbs from the soil into the groundwater, resulting in a much greater proportion of the petroleum hydrocarbons being recovered, see figure 1. 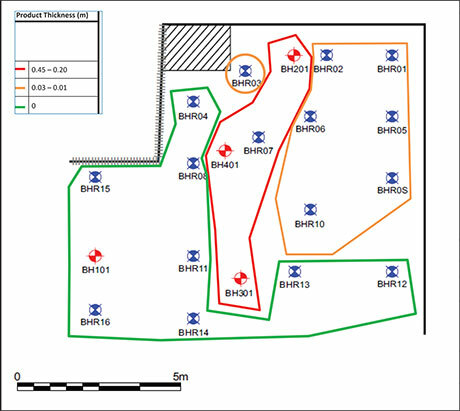 A total of 20 wells were installed across the site: 16 injection and extraction wells and 4 monitoring wells. 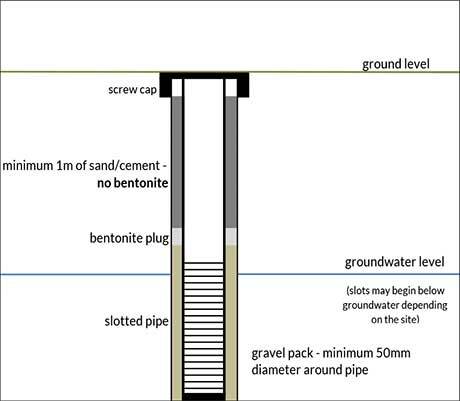 Figure 2 shows the well design required for this type of remediation. Typically between 2 and 4 injection and extraction campaigns are needed in order to capture the bulk of the hydrocarbons bound to the soils. On this site, 3 application and extraction rounds were envisaged. These were completed over a period of 2 months. 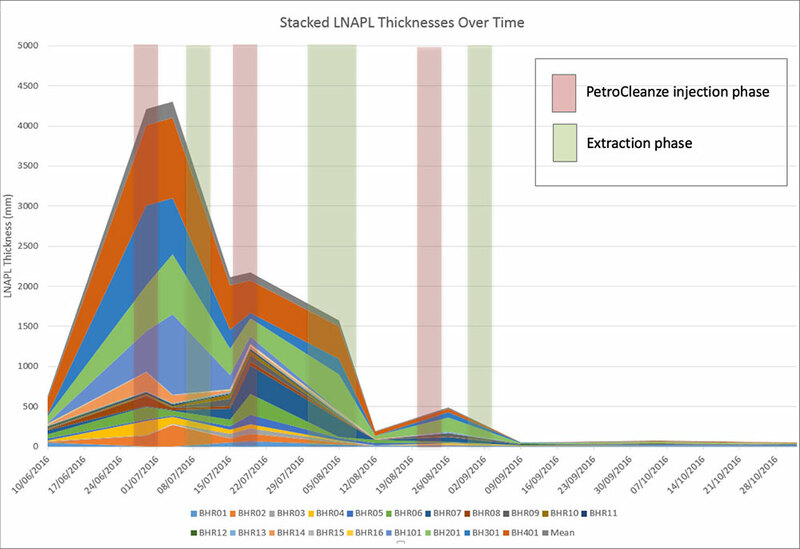 Figure 3 shows the remaining free product thickness levels in the wells after the 2nd round of a total of 3 PetroCleanze injection and extraction campaigns. An example of the thickness of free product recovered from one of the wells can be seen in figure 4. Within 2 months, a 99% reduction of free product was achieved (see figure 5) with all wells achieving the target of <10mm of LNAPL. Further monitoring showed that no rebound of free product occurred. 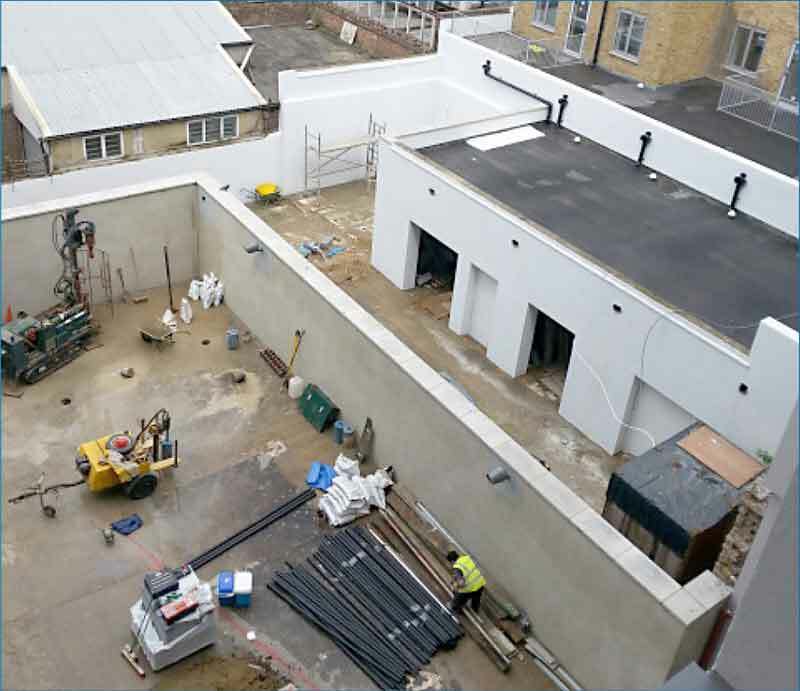 Through the combination of in situ enhanced desorption and vacuum extraction, a 99% reduction of LNAPL has been achieved within 2 months on this urban site with existing structures and buildings. By using PetroCleanze to desorb soil-bound contaminant mass and remove it using vacuum extraction, it was possible to rapidly and cost effectively clean up this heavily impacted site, whilst avoiding a rebound in groundwater contamination. The site has been closed and signed off by Local Authority, allowing the redevelopment to go ahead as planned.